The complex process of hiring, welcoming, orienting and educating a new employee is collectively referred to as ‘Onboarding’ and it's considered to be vital to the success of a new hire. At Kryon Systems we tend to agree and even wrote a whole eBook on the five steps to a successful onboarding process. So why pose the question, "Is onboarding DEAD?" As a performance support solution provider, we spend a lot of time thinking about how we can help organizations improve employee productivity, efficiency and process quality. We understand that despite comprehensive training programs, people simply cannot learn and retain 100% of what they need to know to be superstars the first week/days/months on the job. 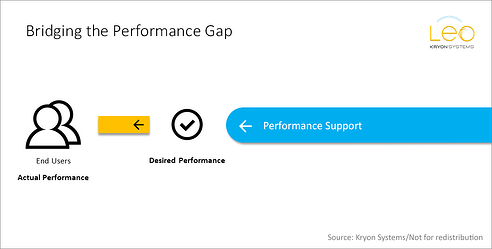 The result is a gap between actual and desired performance which we refer to as 'The Performance Gap'. When simple human error is added to the equation, the effect to business operations can be significant – resulting in decreased productivity and process quality. This is the exact opposite result that business leaders want from their investments in onboarding/HR and technology. 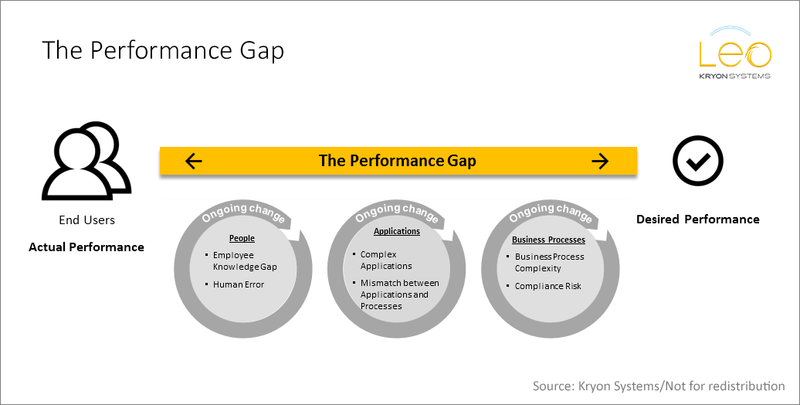 When you look at it this way, the full impact of what just-in-time guidance and performance support delivers suddenly becomes increasingly clear! By providing assistance directly within the business application and guiding the employee through the steps of the process, without the need to look for the information, learn how to do it, and then return to the task to apply this knowledge – we are now in control of desired performance and business outcomes. So to answer our own question, "No, onboarding is not dead, but it has evolved"
Onboarding is necessary to create a welcoming environment for new hires, to familiarize them with the culture of the organization, and to set goals and expectations. 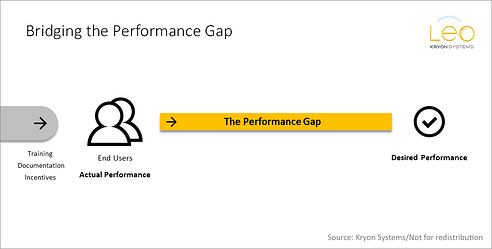 However, when it comes to bridging the huge performance gap between employers’ expectations and employees’ ability to actually meet them, we need to rethink traditional learning and training approaches. To this end, performance support provides a solution that extends beyond an initial training event and empowers organizations to take control of the results. In short, helping employees get the job done and businesses achieve their KPIs. To hear more about our AHA moment and learn how to kick-start performance support in your organization, join our session at the FocusOn Performance conference: How to Kick-start Performance Support in Your Organization, Session #611, Thursday June 9th, at 1:00 pm. Follow us on Twitter @LeoKryon and LinkedIn for updates from the show floor and to find out where the good prizes are!